Tattoo done by Mike Storey at Adrenaline Tattoo in Toronto. The Joker is from The Killing Joke! Got this for a long story's worth of reasons, but to sum up the Joker reminds me to do what I want with life because you only get one to live. Thanks! My artist did an amazing job!! 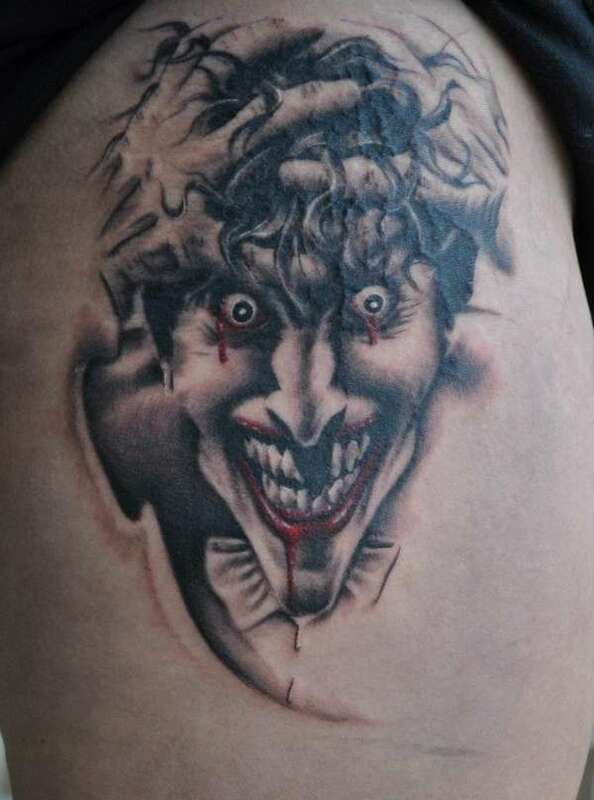 Def one of, if not the Best Joker Tatt I've seen on here.